Many experts have spoken and written about the need for test engineers in projects that follow agile methods. We need test engineers in agile projects and it is worth discussing their role. The role of test engineer in agile world is different from their role in traditional world. It is no longer a role that remained relevant in the past. Test engineers are part of agile development from the very first iteration. What do they do differently? They participate in iteration planning (or sprint planning in case of Scrum) and ask questions to clarify requirements. They participate in estimation. They create test data. They work with developers in identifying and connecting with all possible test scenarios. They review code when it is needed. They do exploratory testing. They do not wait for all stories to meet the definition of done. They test every build. The do it from all directions and stop testing only when they are unable to proceed. In other words, they do not work in silos. They do not run a predetermined set of test cases and raise a red flag when majority of them fail. They become close associates and supporters of developers. They don’t find fault and go to business users without collaborating with developers. They are no longer manual testers. They contribute to test automation. They are script developers. They don’t limit to consuming requirements and translating them to test cases. They go beyond that limit by asking relevant questions. They anticipate risks and bring them to table for discussions. They are no longer focused only on processes to complete testing activities. They are collaborators and have the intelligence to customize processes in order to deliver value to stake holders. They don’t limit their work arena to functional testing or integration testing. They think about all forms and types of testing found in Brian Marick’s agile testing matrix. They don’t hesitate to fix few defects when there is crisis as they are prepared to go beyond the call of duty. When we have test engineers with these qualities, yes, we need them in teams that follow agile methods. In this short article, I have attempted to provide a quick glimpse on the role of test engineers in agile projects. A detailed discussion on this topic is available in a white paper titled ‘Agility for Testers’ written by Elizabeth Hendrickson. Happy reading! Raja Bavani is Chief Architect of Mindtree’s Product Engineering Services (PES) and IT Services (ITS) groups and plays the role of Agile Evangelist. He has more than 20 years of experience in the IT industry and has published papers at international conferences on topics related to code quality, distributed Agile, customer value management, and software estimation. He is a member of IEEE and IEEE Computer Society. He regularly interfaces with educational institutions to offer guest lectures and writes for technical conferences. He writes for magazines such as Agile Record, Cutter IT Journal, IEEE Software and SD Times. 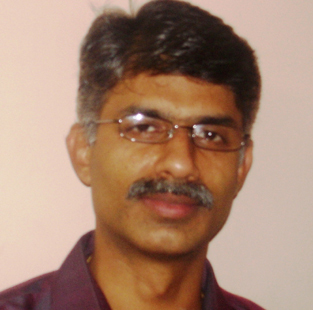 His blogs are available at http://www.blogs.mindtree.com/author/raja-bavani and http://www.se-thoughtograph.blogspot.in. He can be reached at raja_bavani@mindtree.com.